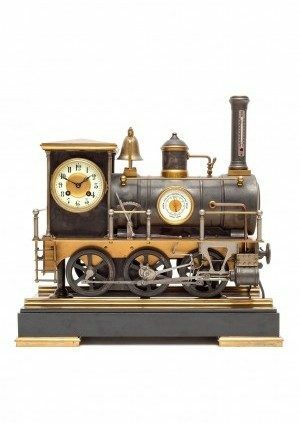 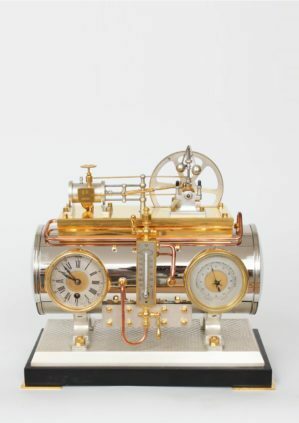 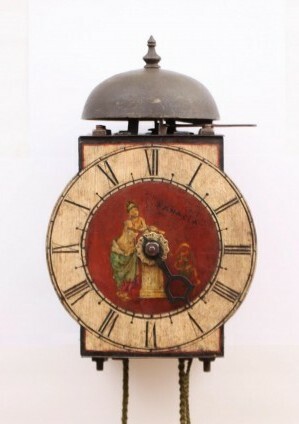 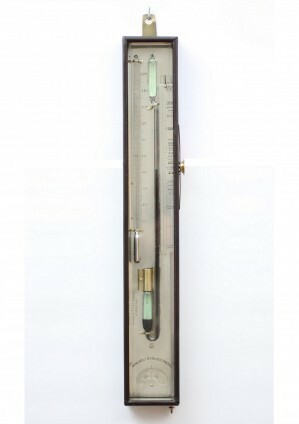 A fine French industrial mantel clock, boiler by Guilmet, circa 1880. 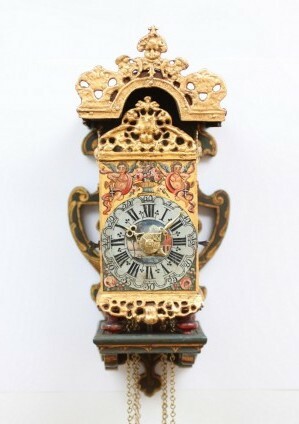 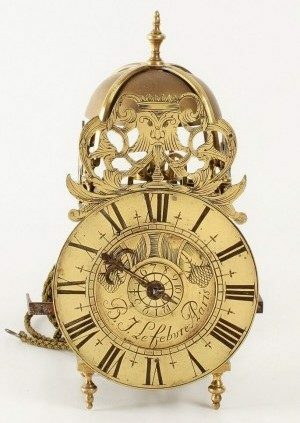 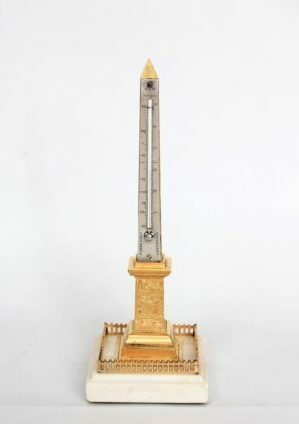 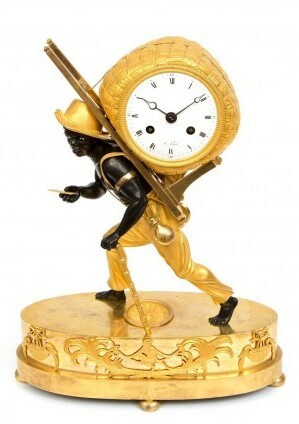 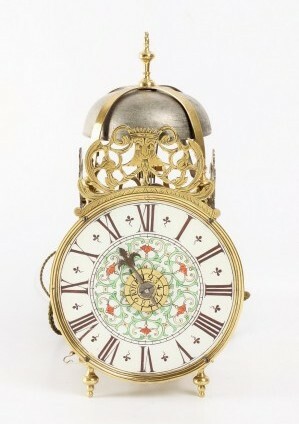 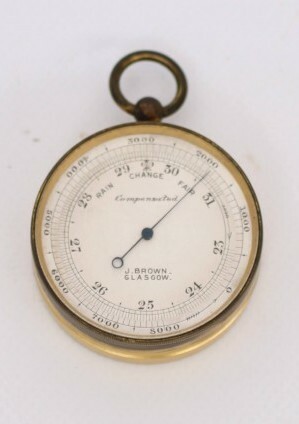 A Swiss gilt brass night timepiece, J.J. Zeller Basel, circa 1740. 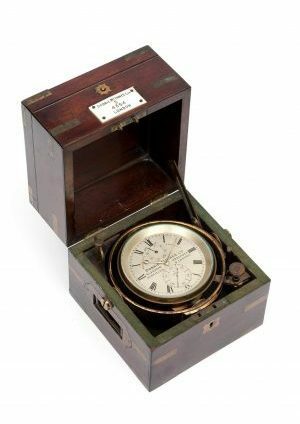 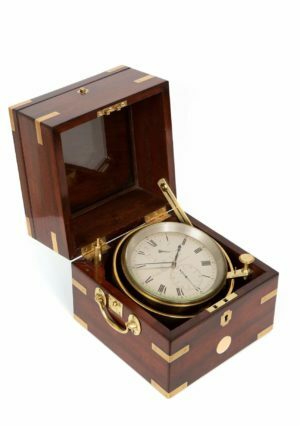 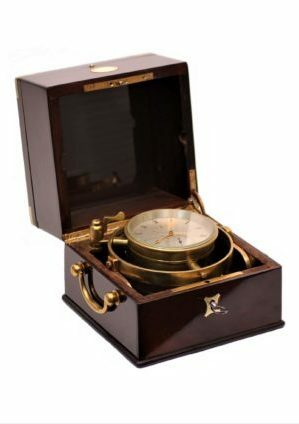 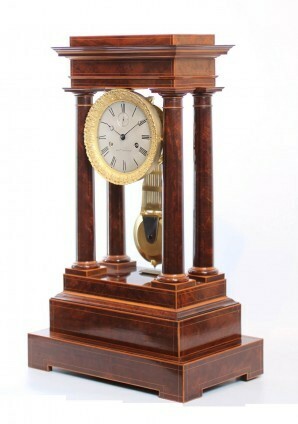 A French rosewood chronometer by Onésime Dumas, circa 1855. 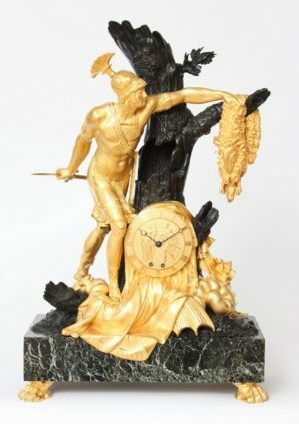 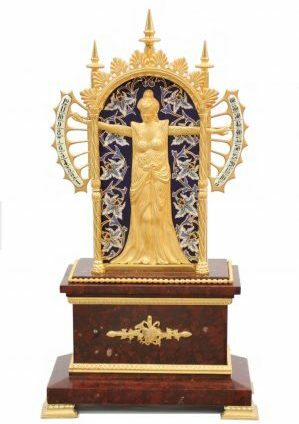 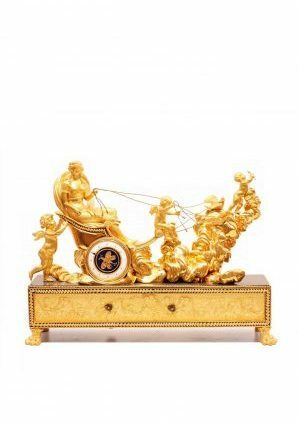 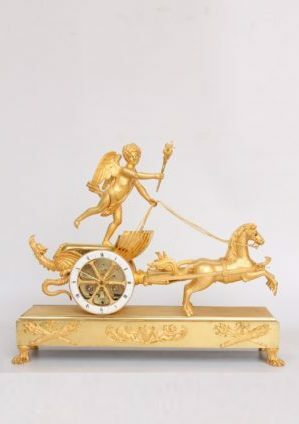 A French Louis XVI ormolu and marble sculptural mantel clock, Urania circa 1770. 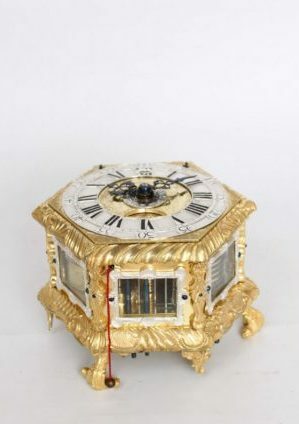 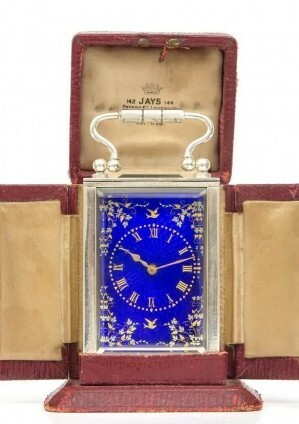 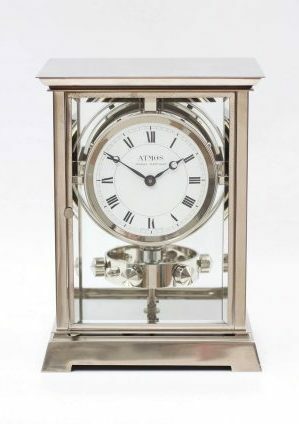 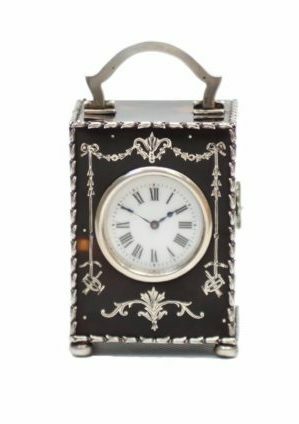 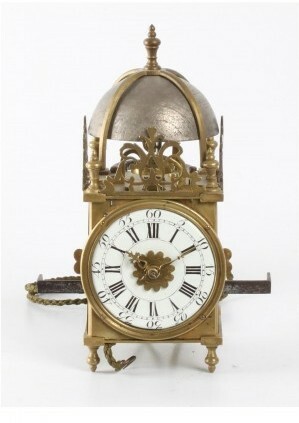 A French gilt and silvered carriage clock with calendar, circa 1870. 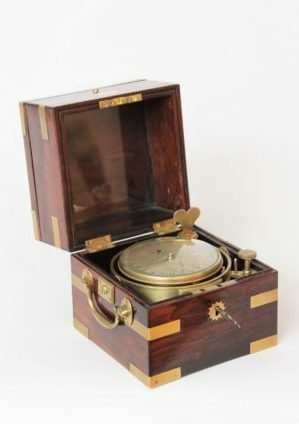 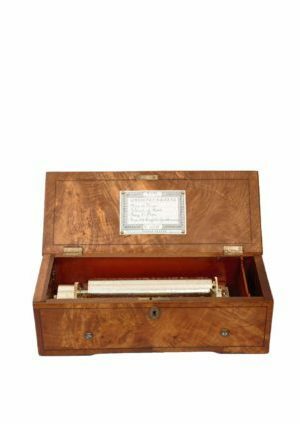 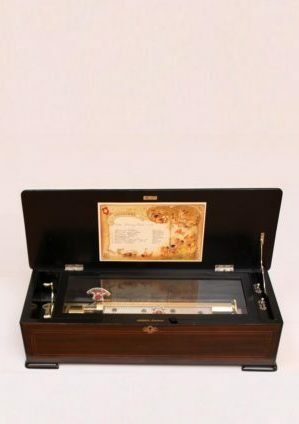 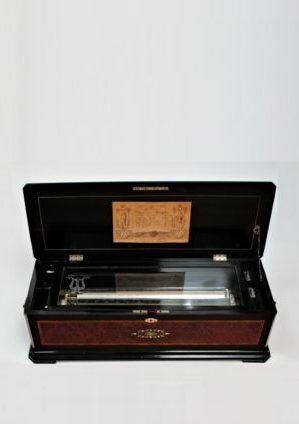 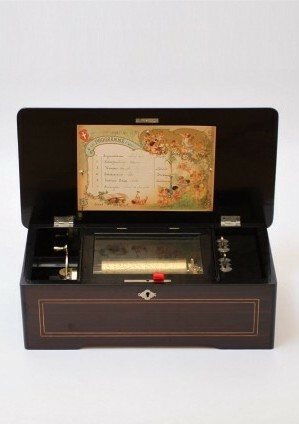 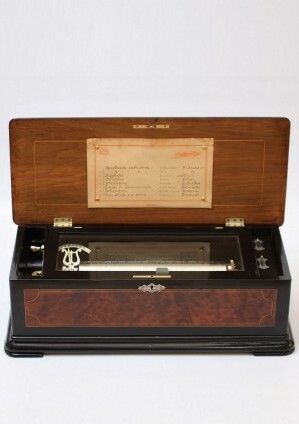 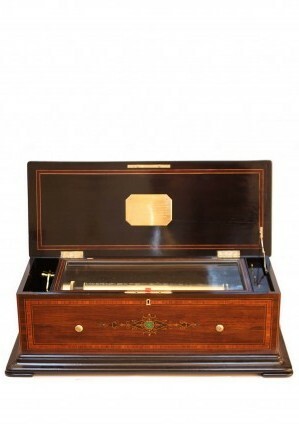 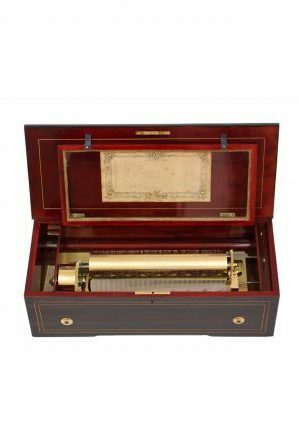 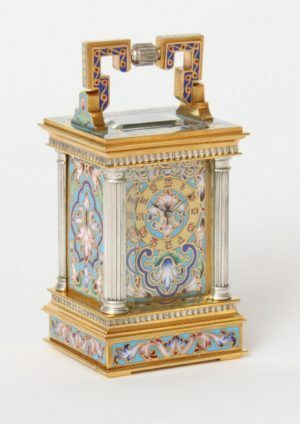 A swiss ‘Nicole Frères’ cylinder music box, circa 1840. 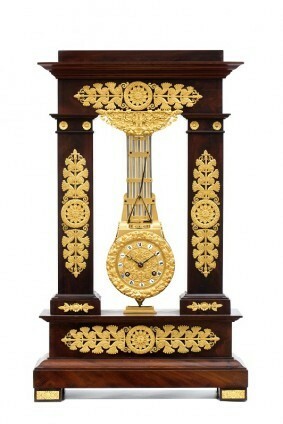 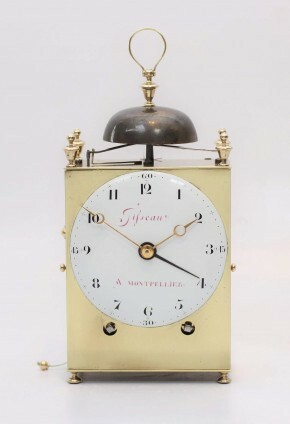 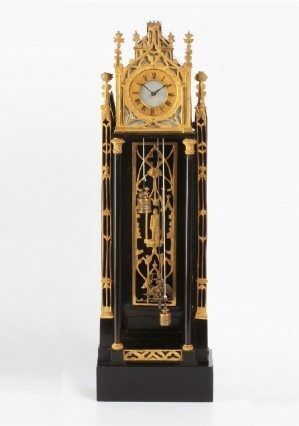 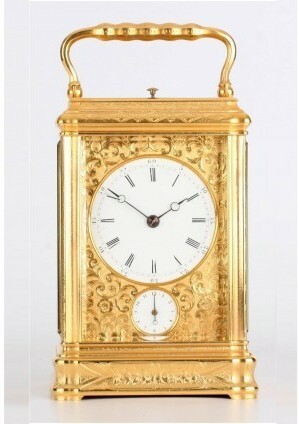 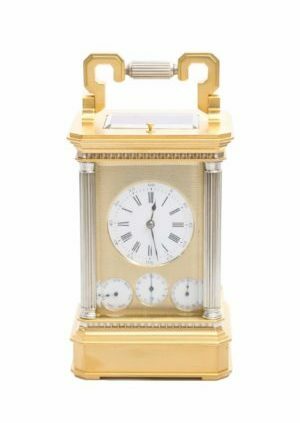 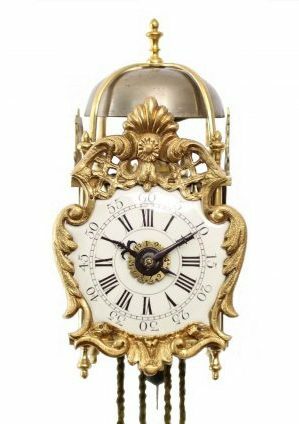 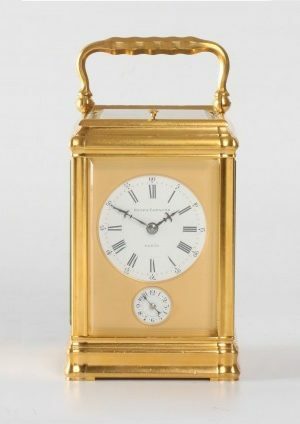 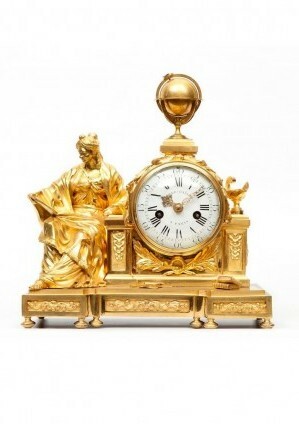 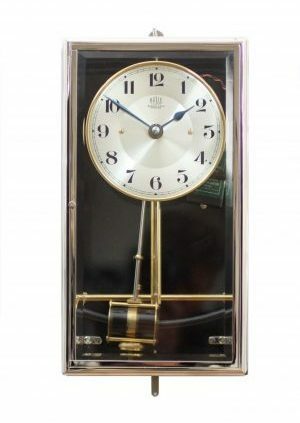 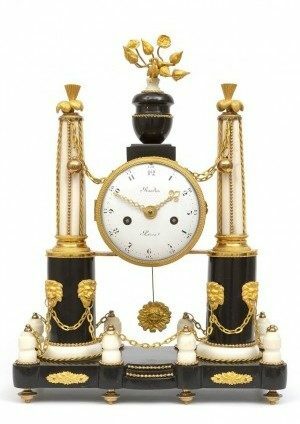 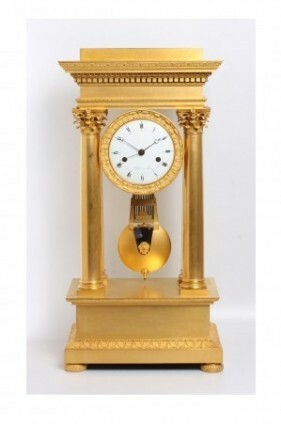 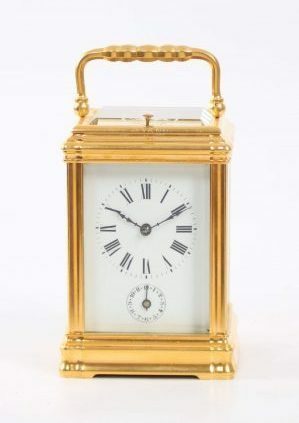 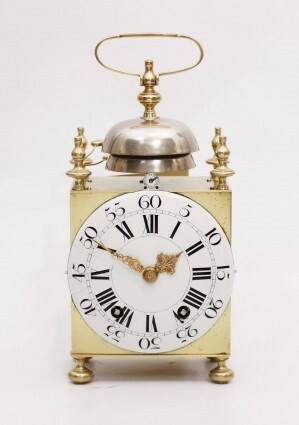 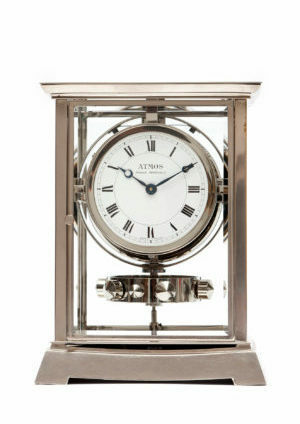 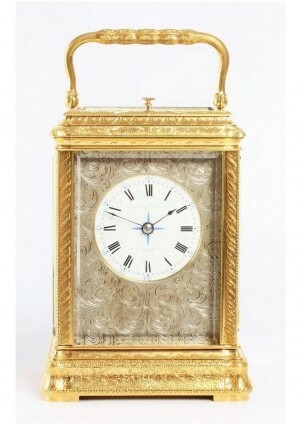 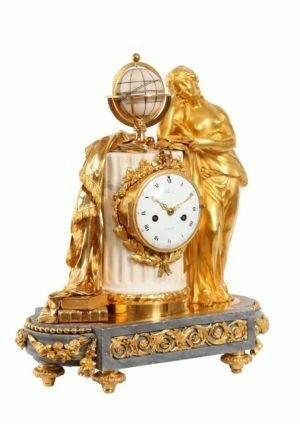 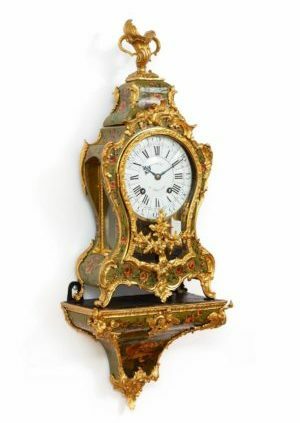 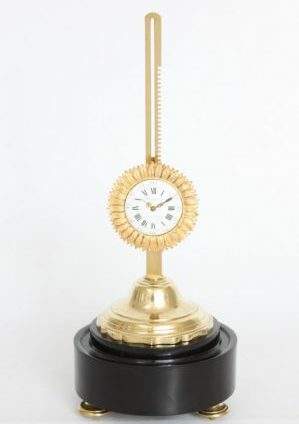 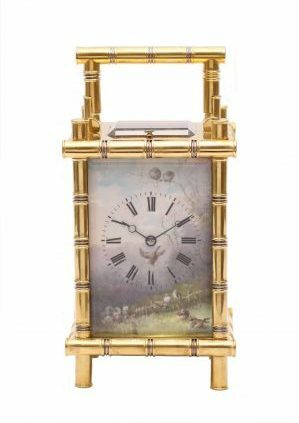 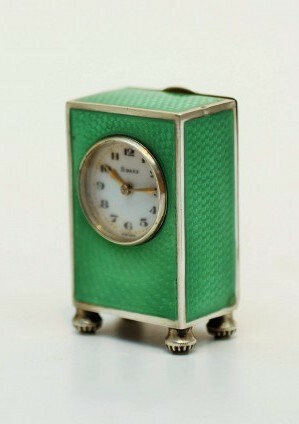 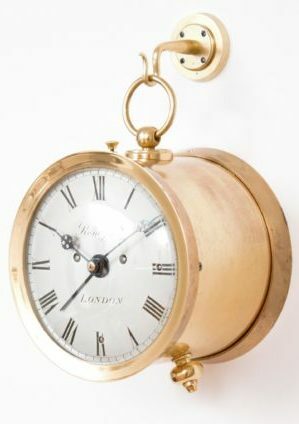 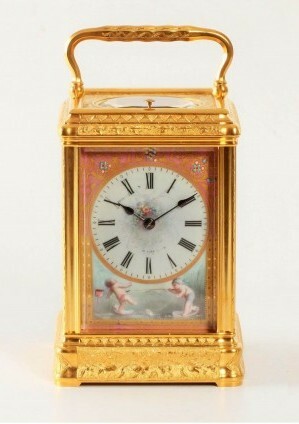 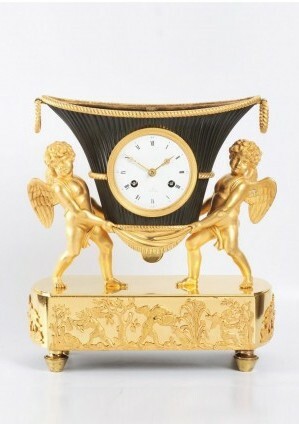 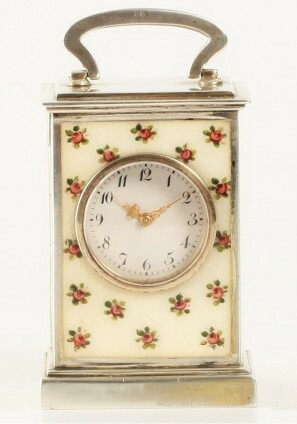 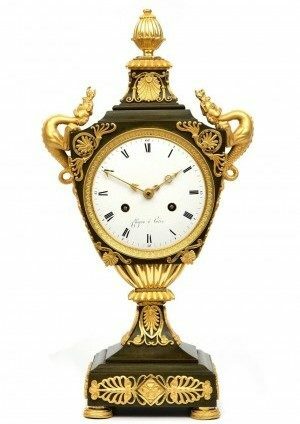 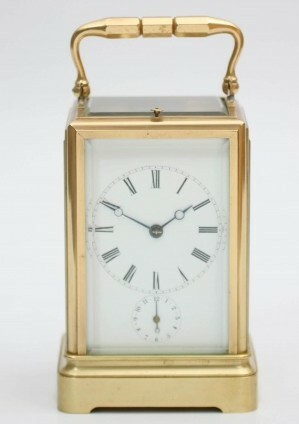 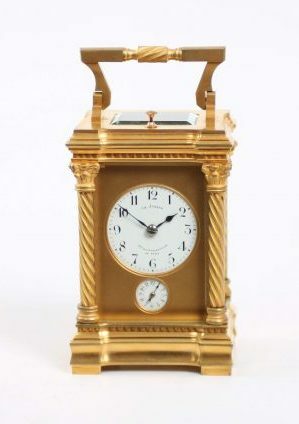 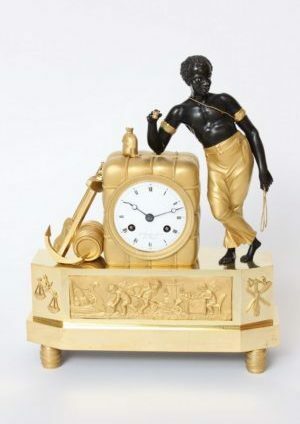 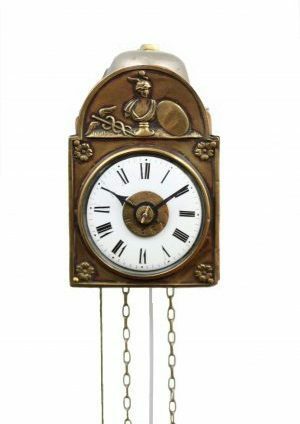 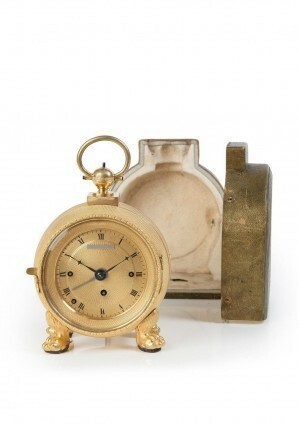 A fine French gilt brass Gorge case repeating alarm carriage clock, circa 1880. 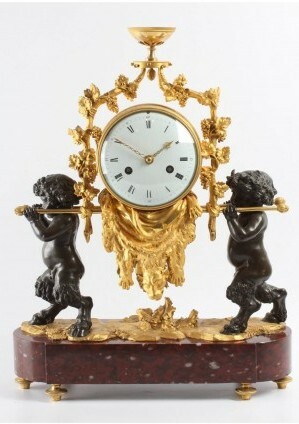 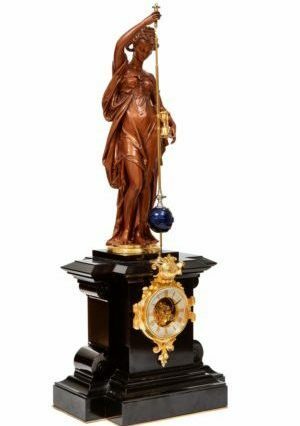 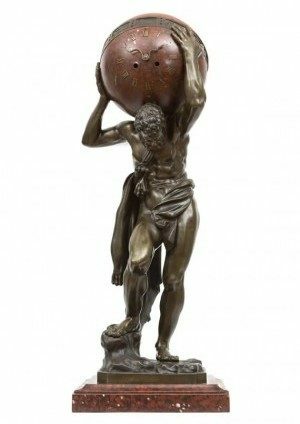 A French Louis XIV ‘pendule religieuse’, Claude Artus, circa 1670. 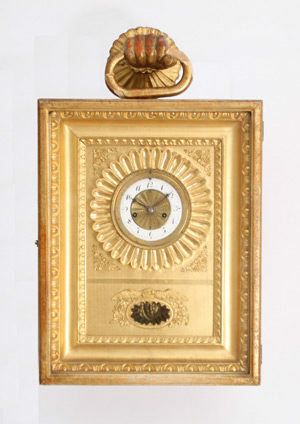 A French engraved gilt carriage clock, by Drocourt, circa 1880. 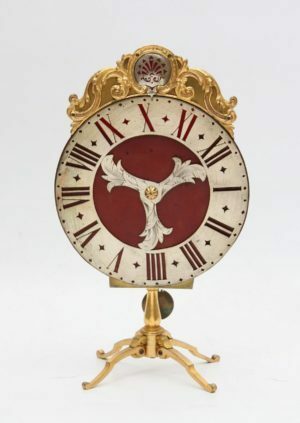 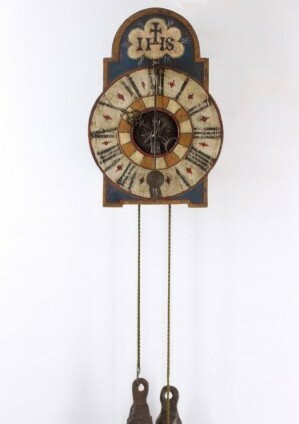 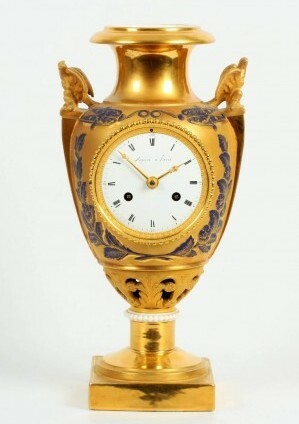 A French brass lantern clock with rare porcelain dial, circa 1750. 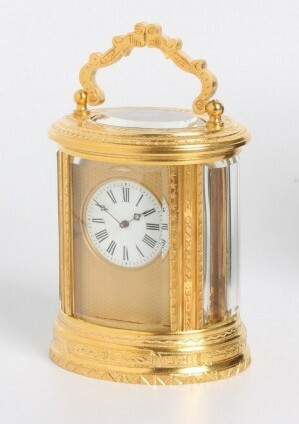 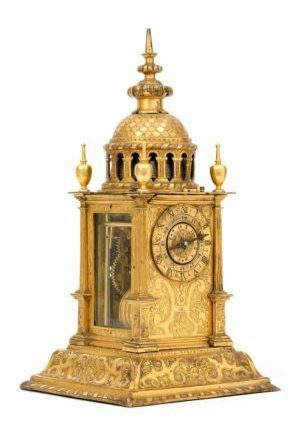 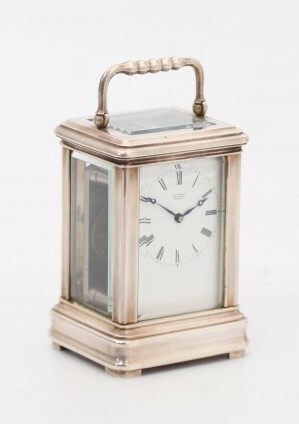 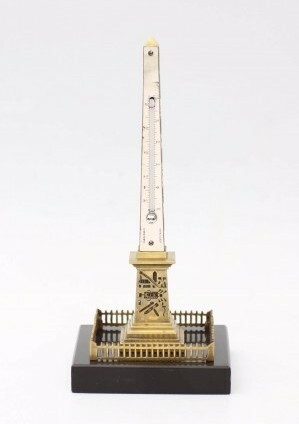 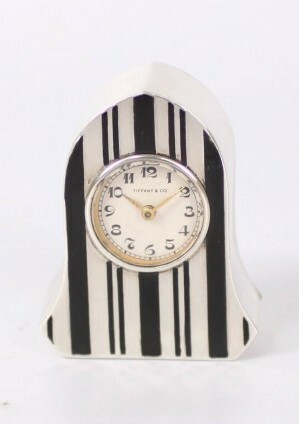 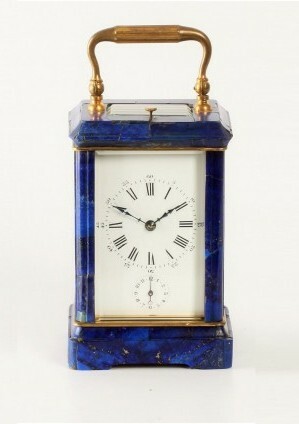 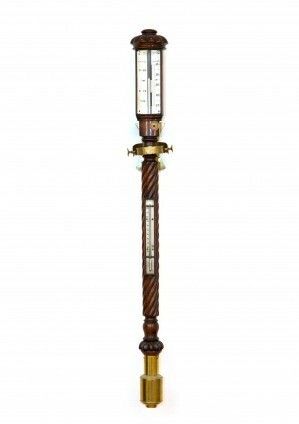 A French brass lantern alarm timepiece by B J Lefebvre A Paris, circa 1740. 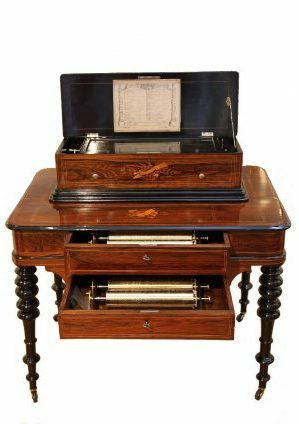 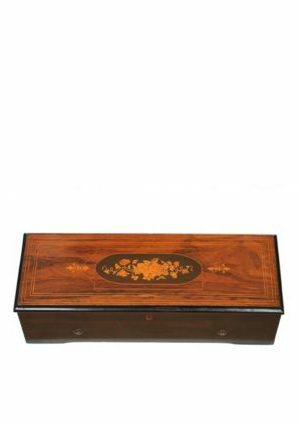 A Vienna mahogany regulator ‘Dachluhr’ by Josef Koller, circa 1830. 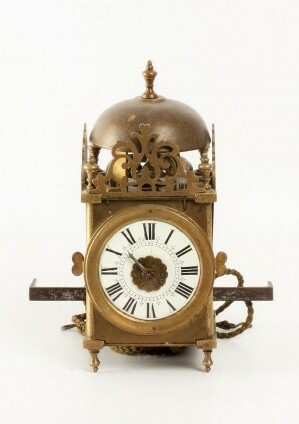 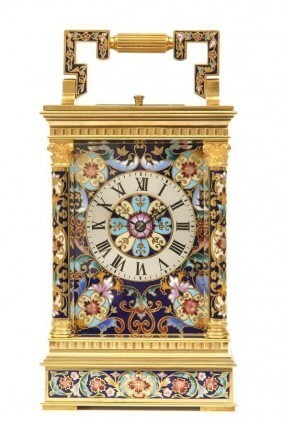 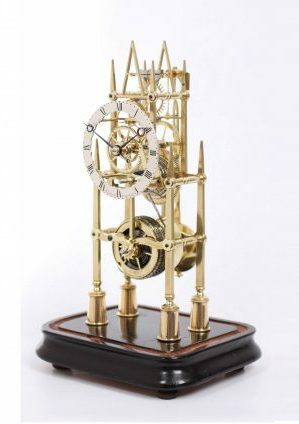 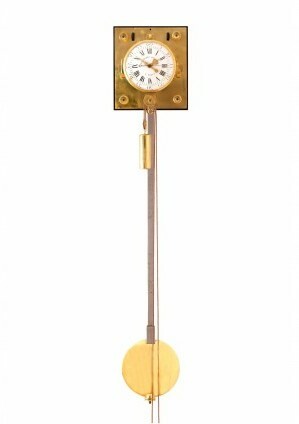 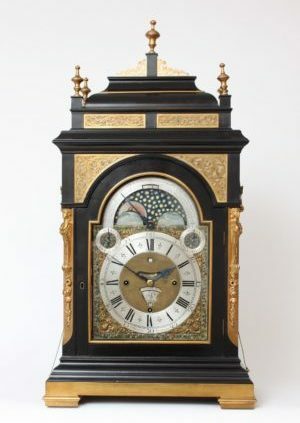 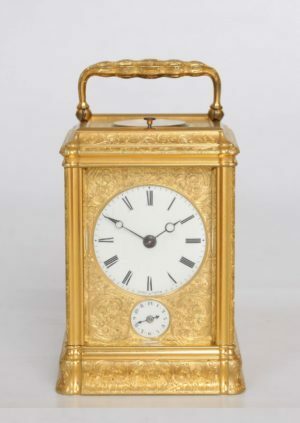 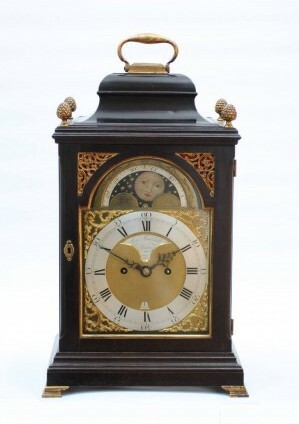 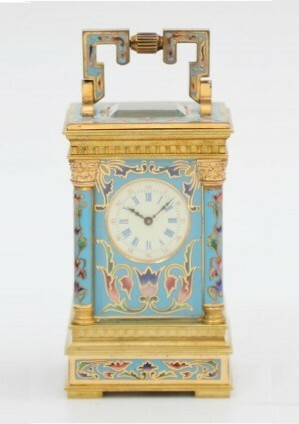 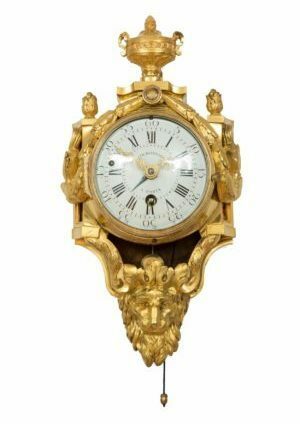 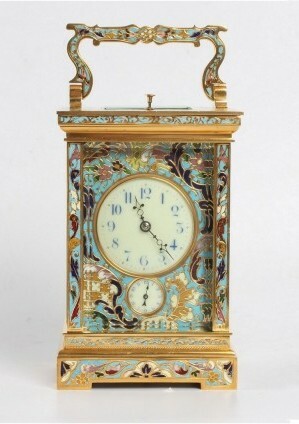 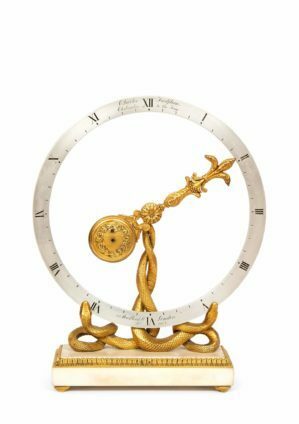 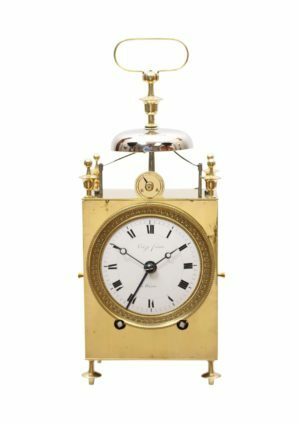 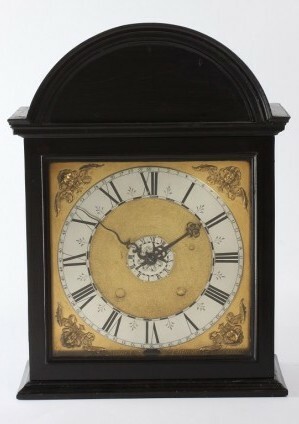 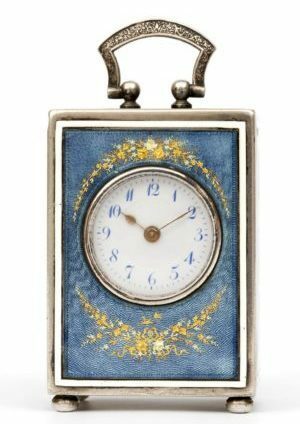 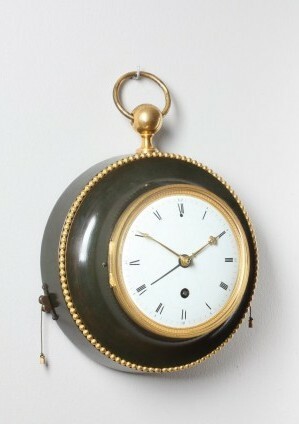 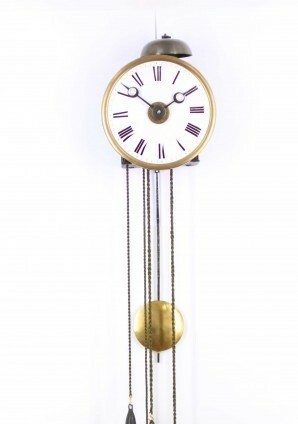 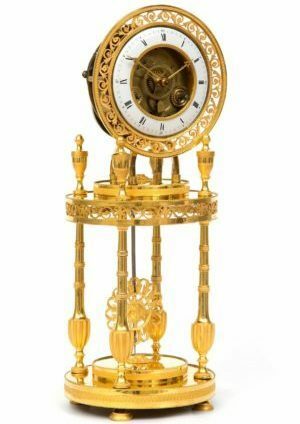 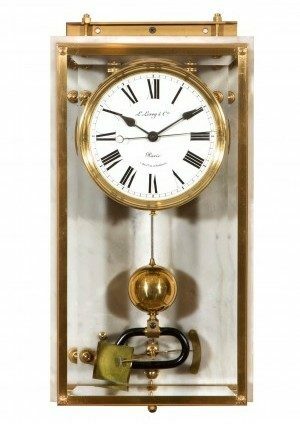 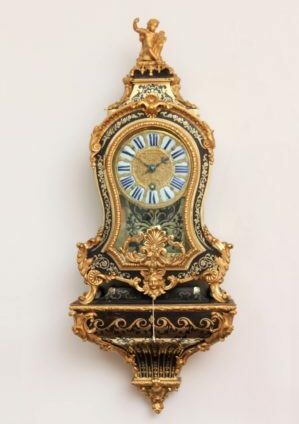 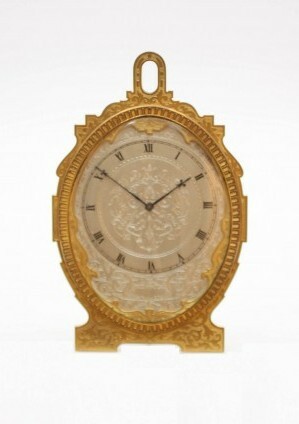 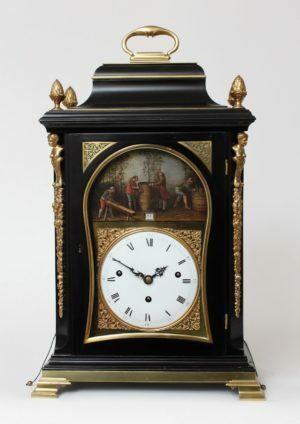 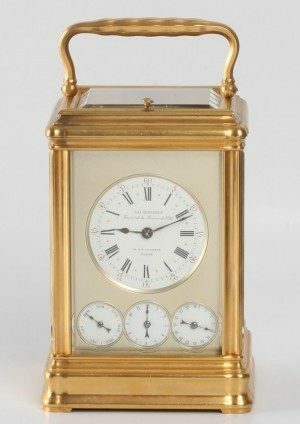 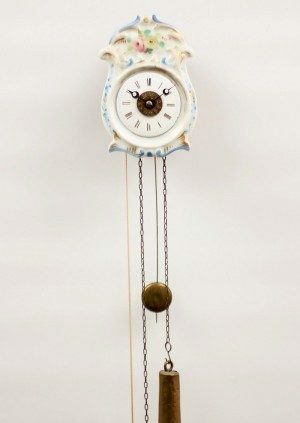 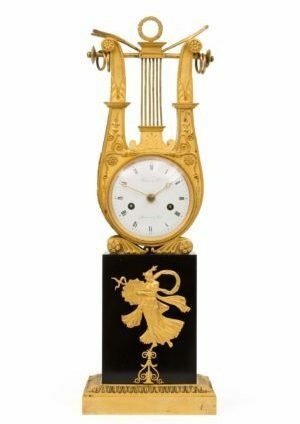 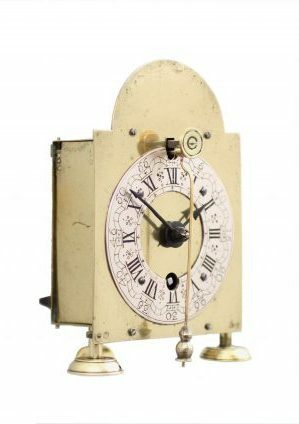 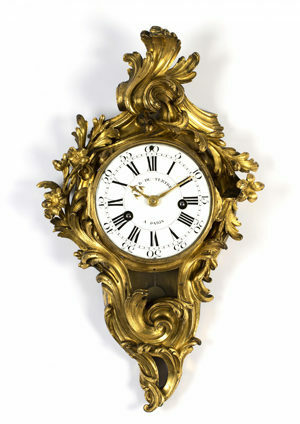 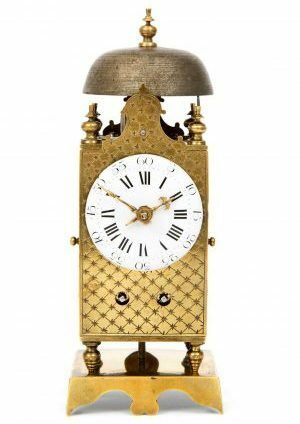 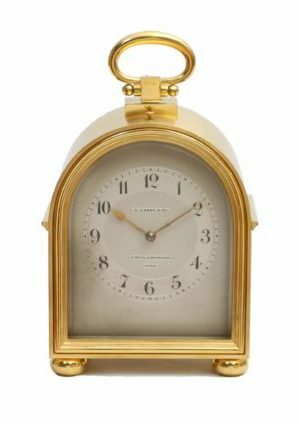 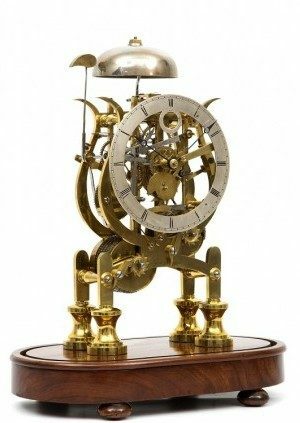 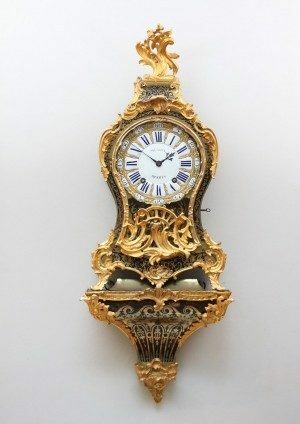 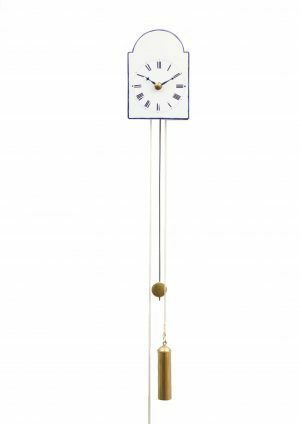 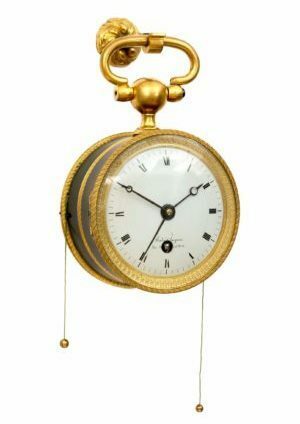 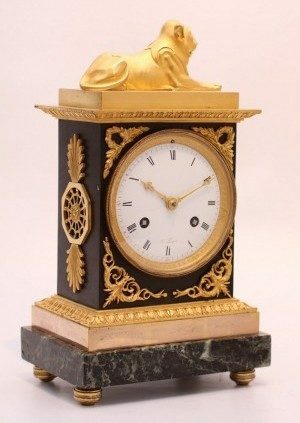 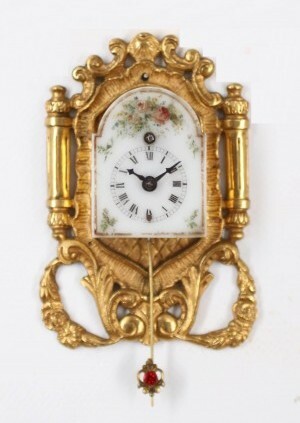 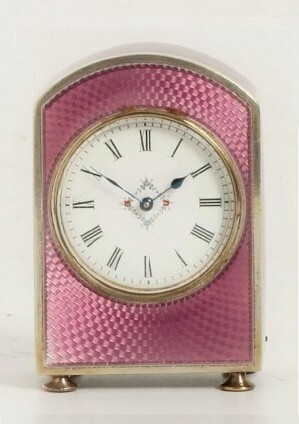 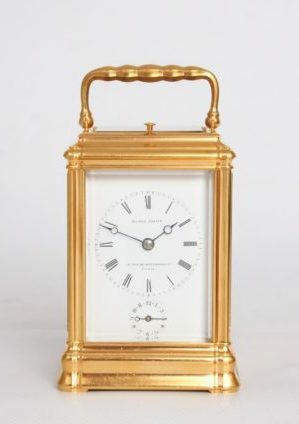 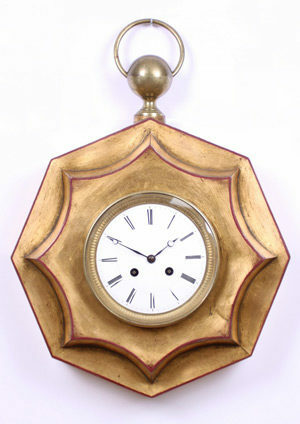 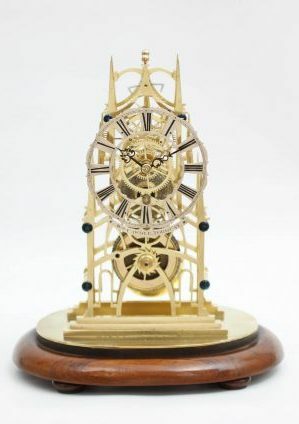 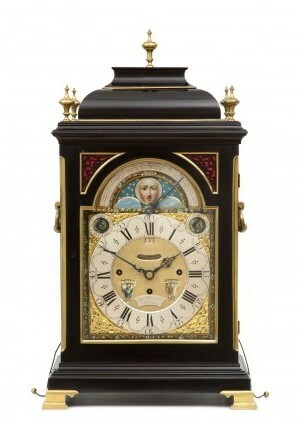 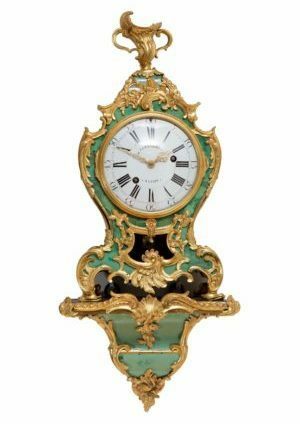 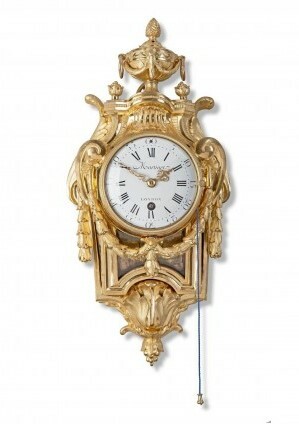 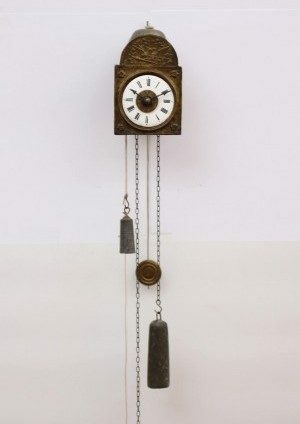 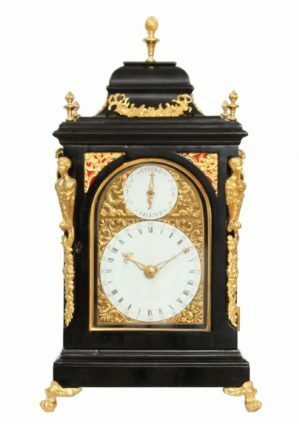 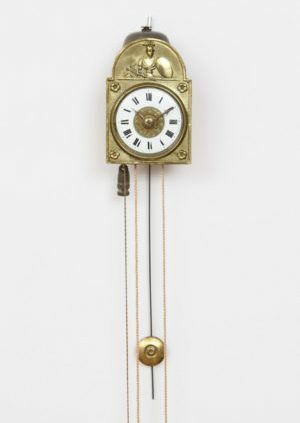 A small French gilt carriage clock by Henry Lepaute, circa 1870. 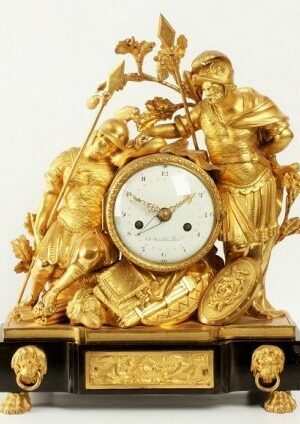 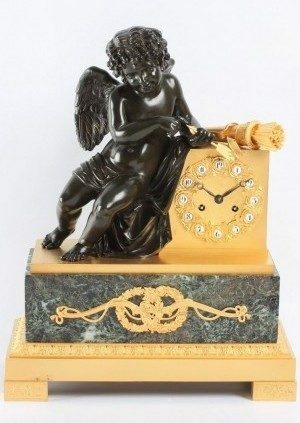 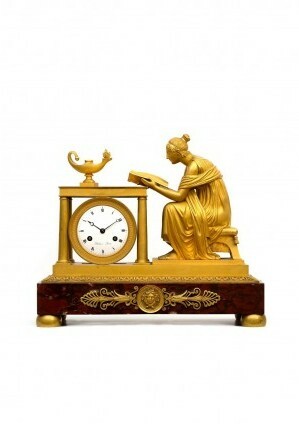 A fine French Louis XVI ormolu mantel clock ‘Urania’, circa 1760. 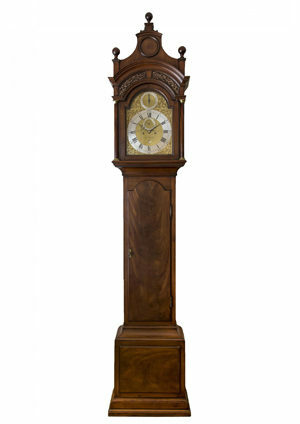 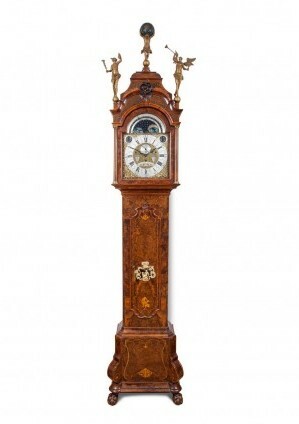 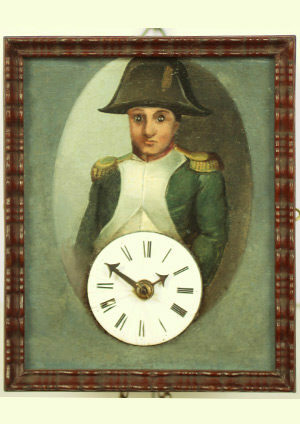 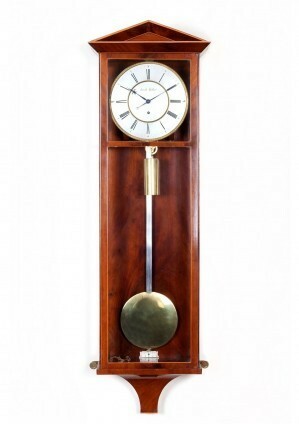 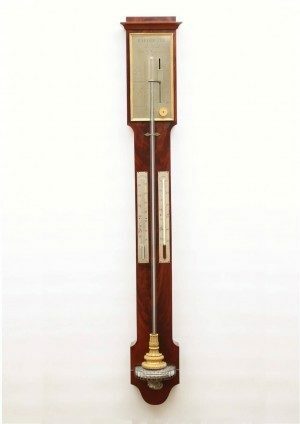 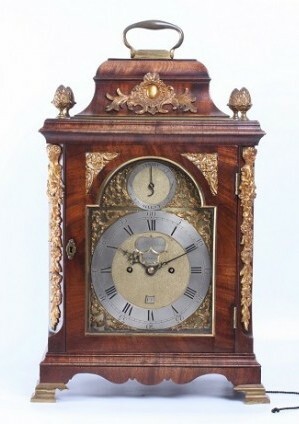 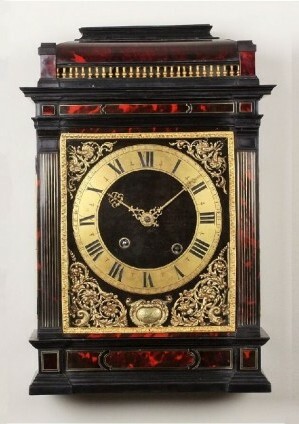 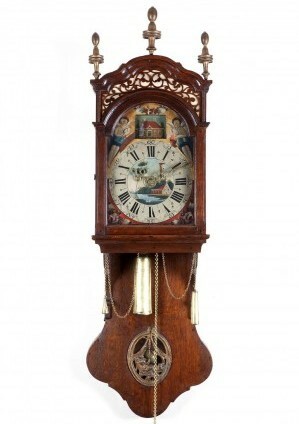 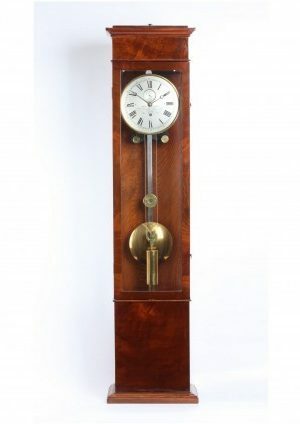 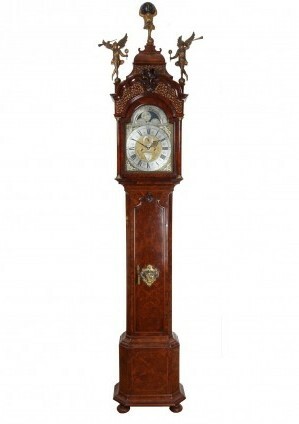 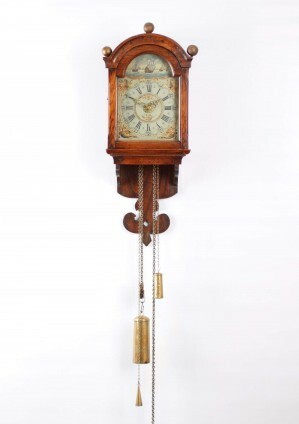 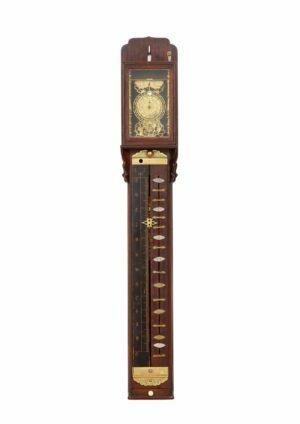 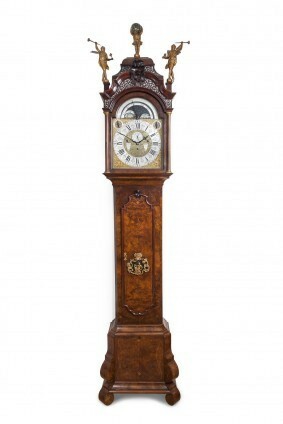 A French late-Empire mahogany oscillating mantel clock, circa 1820.